Forget Me Knot Flowers takes on floral rearrangements for people in hospital. Credit: Leona Davis. 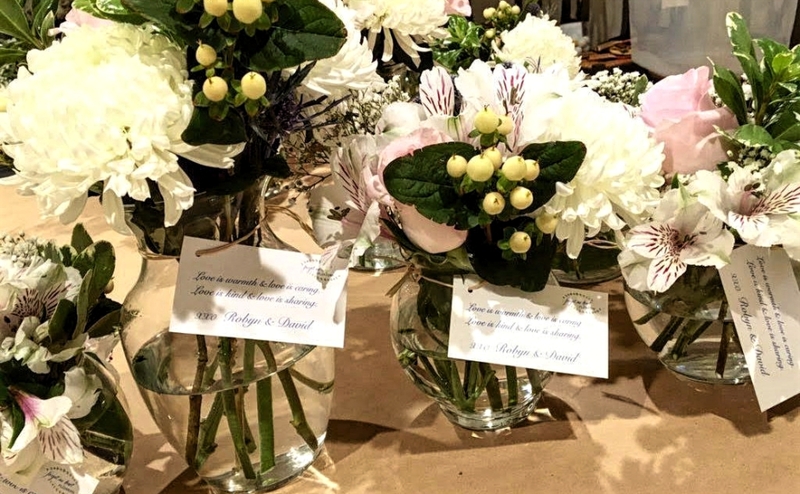 Forget Me Knot Flowers helps find another use for bouquets and centerpieces after special events have ended, distributing them to patients in hospice and healthcare centers. Leona Davis. Credit: Leona Davis. It was just last May that Leona Davis of Haddonfield broke down her first bouquet and rearranged it. Her daughter, Christina, had just gotten married, and Davis couldn’t bear to see the flowers from the evening go to waste. The newlyweds had wanted to do something useful with their flowers after the wedding instead of just throwing them away, but came up short of ideas. “I figured if we’re in need of this service, others are as well,” Davis said. That impulse led her to create Forget Me Knot Flowers, a nonprofit flower recycling service that aims to give hospital patients a bit of cheer while they recover. 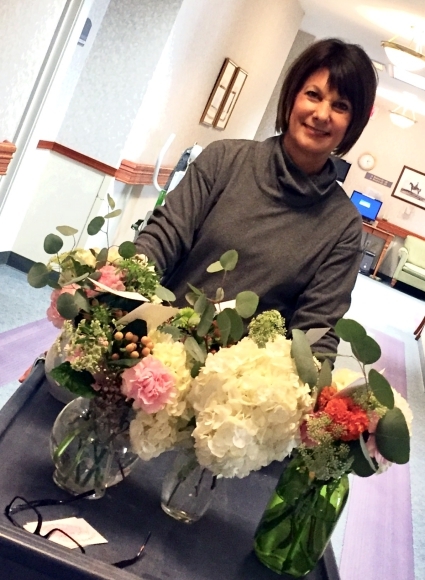 For the price of a tax-deductible donation, Davis collects floral arrangements at the conclusion of an event and “recuts, refreshes, and restyles them” into bedside arrangements that she hand-delivers to patients at a handful of healthcare and hospice facilities. Davis pairs each arrangement with a story about its donors, a note, and a love poem (if the donation is anonymous, the tag simply reads, “You are loved”). In the process, she engages with recipients to deepen the personal connections they may find with the experience. Davis also provides table cards for donors to display at their events, and e-mails them pictures taken on her deliveries. With the help of local high-school volunteers, Davis said she can make about 100 new arrangements from the flowers collected from an average-sized wedding. “It takes time, and you want to be creative and make them just as beautiful as they were the night before,” she said. Forget Me Knot Flowers donates to the Ronald McDonald House. Credit: Leona Davis. The process is a lot of work, but Davis said the reactions from recipients is priceless. At its heart, Forget Me Knot is also a family business. It began as an offshoot of Little Pearl Designs, a stationary and wedding invitation business that Davis runs with her daughter. Her husband, Thomas, operates the USA Pole Vault Bureau Association, which serves as the umbrella organization for Forget Me Knot, provides its nonprofit status, and processes the donations that help sustain the service. 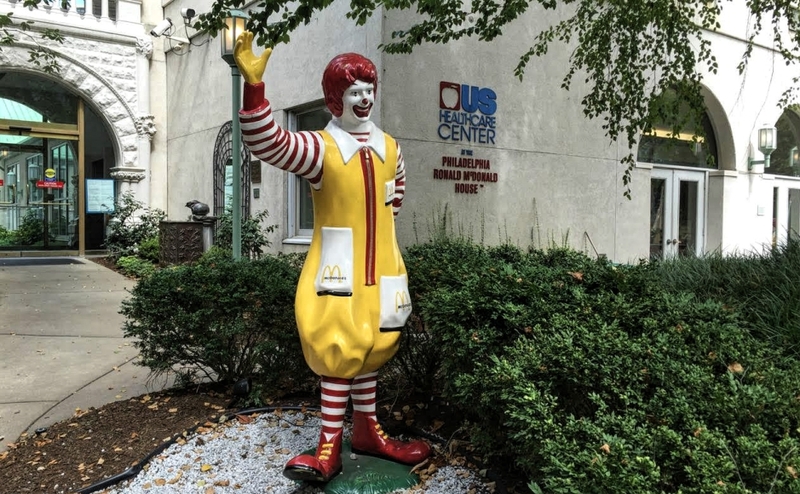 Currently, Forget Me Knot donates to the Ronald McDonald House, Voorhees Pediatric Center, Voorhees Care + Rehabilitation Center, and Inspira Transitional Care Unit: Woodbury. The list continues to grow, and Davis hopes to begin donating to local women’s shelters in the near future.